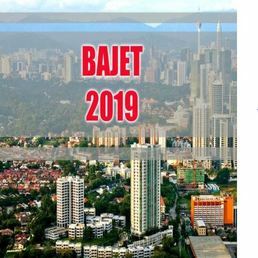 KUALA LUMPUR (March 20): The number of properties that went under the hammer fell for the third consecutive year in 2016, despite the prolonged slowdown, thanks to the earlier property boom that had lifted prices. Tom Low Chee Hian, the founder and chief executive officer of Websense Sdn Bhd which operates the LelongTips.com.my auction website, said overall the auction market has seen a decline in listings over the years, with the total number of listings down 8% at 29,883 in 2016, compared with 32,162 in 2015. 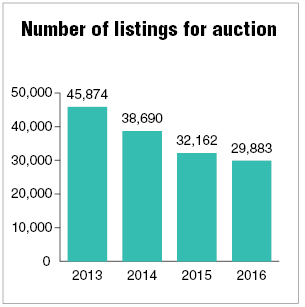 The number of listings was at 38,690 in 2014, and at 45,874 in 2013. The northern region recorded the largest year-on-year (y-o-y) decline at 12% last year, followed by the central and east coast regions, which were each down 8% y-o-y, while the southern region saw a 5% decline in the number of properties auctioned. 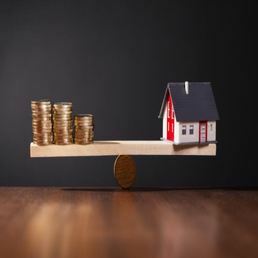 The appreciation of property prices has enabled financially stressed owners to sell their houses or apartments at a profit, instead of putting it up for auction by the banks. Furthermore, banks are more willing to restructure mortgages that have been defaulted when the value of the underlying property has gone up. “As the price of the property increases, the margin of financing for the housing loan will be narrower [based on the market value]. So the banks can restructure the loan for them. It is also in the banks’ interest to carry out loan restructuring as they want to maintain a healthy loan portfolio,” Low explained. “In terms of loan default cases, there has not been an increase [according to the banks]. We have been speaking with banks and they said that their non-performing loans’ (NPL) level overall has been steady, as interest rates remain stable,” said Low. 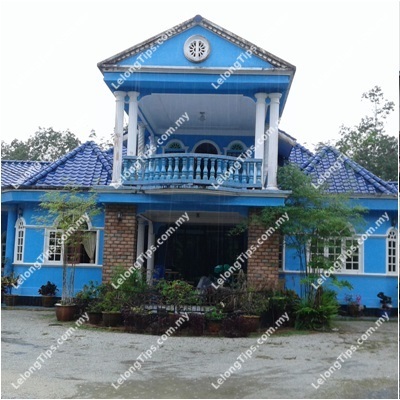 He added that there has also been an increasing amount of newly bought properties being put up for auction, partly due to the various financing schemes offered by property developers, including zero-interest schemes. “Some buyers take advantage of these schemes and end up having difficulty selling off the asset, especially for big-ticket properties that are priced over RM1 million,” he said. On the other hand, Low said transactions are active for cheaper properties, especially those priced below RM400,000, as it is difficult to secure properties within this price range in the current subdued market. 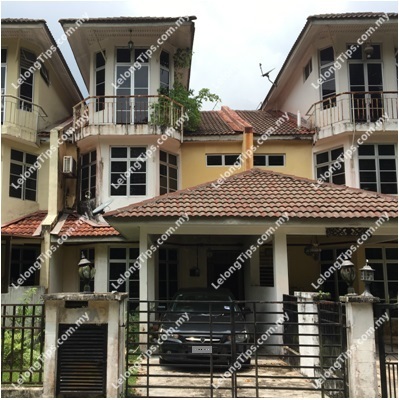 Leong Wye Hoong, a licensed auctioneer with Leong Auctioneer Sdn Bhd, pointed out that the increase in the number of high-valued properties, including offices, being put up for auction is due to the oversupply in the office segment and continued tighter lending conditions. “The office segment is seeing an oversupply, which has been driving up the number of auction cases, while the tighter lending conditions have made it difficult to secure financing for higher priced properties,” said Leong in an interview with The Edge Financial Daily. He added that the success rate of these higher-end assets being auctioned off has also fallen, as buyers are looking for cheaper units. 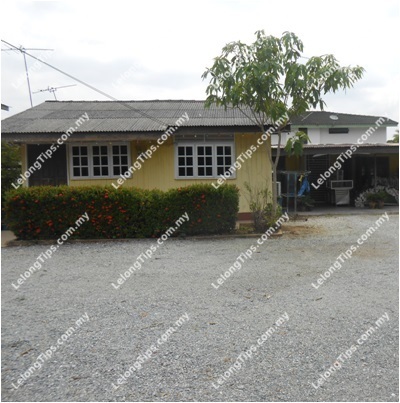 “Previously it took one or two auctions to sell off these properties. 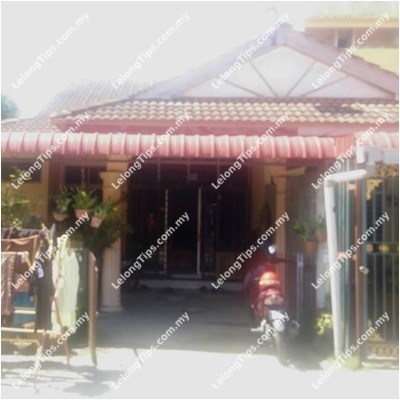 However, last year it took up to the third or fourth auction before these properties were bought. 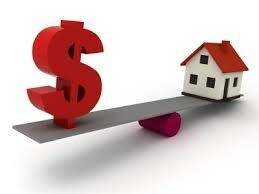 “This is mainly due to difficulty in securing loans, especially for those purchasing their second property onwards. Banks usually give a lower margin of financing — between 60% and 70% — making it more expensive to finance a purchase,” he said.